Sara Rothé bought three doll’s houses together with contents at an auction in Amsterdam in 1743. These were then rebuilt to form two splendid doll’s houses. One is now kept at the Frans Hals Museum, the other is at the Gemeentemuseum in The Hague. Eighteenth-century doll’s houses were not toys. They were a kind of display case, a miniature museum intended for show. 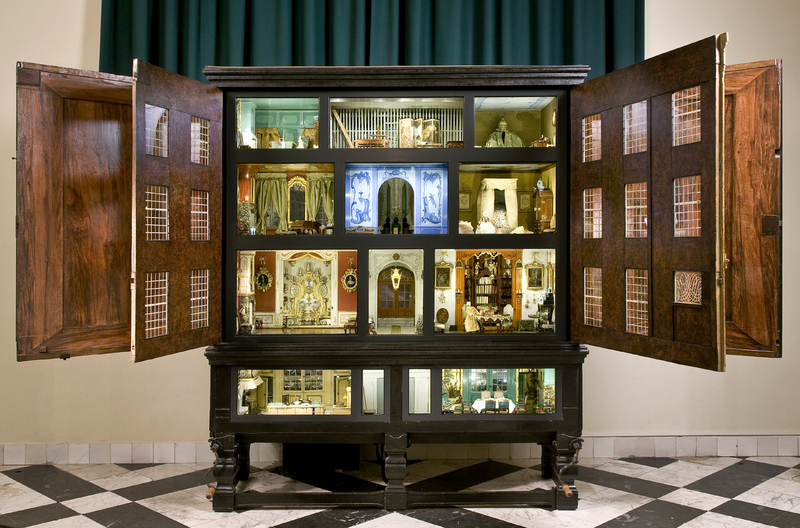 As a hobby, doll’s houses were part of a tradition of collecting art and rare objects and displaying them in special cabinets which went back to the seventeenth century. Everything in this doll’s house was made as realistically as possible to one-tenth of the original size — it was an expensive hobby. From the doll’s house interior we can see what a prosperous eighteenth-century home looked like. Aangekocht met steun van de Vereniging Rembrandt.